"It’s beautiful and pop but also very sophisticated in a way… it’s an eclectic conversation between different inspirations, that at the end becomes a language. 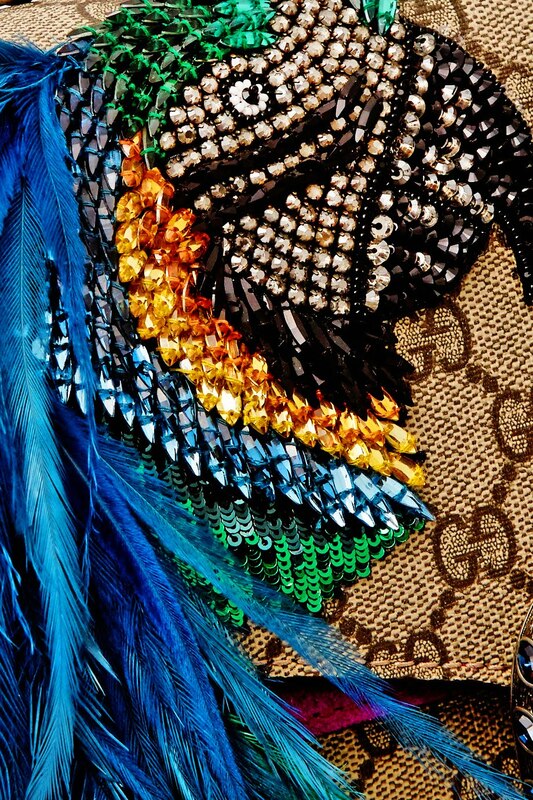 My idea of fashion was always that it wasn’t just one story" explains Alessandro Michele of Gucci's eclectic Spring '17 collection. 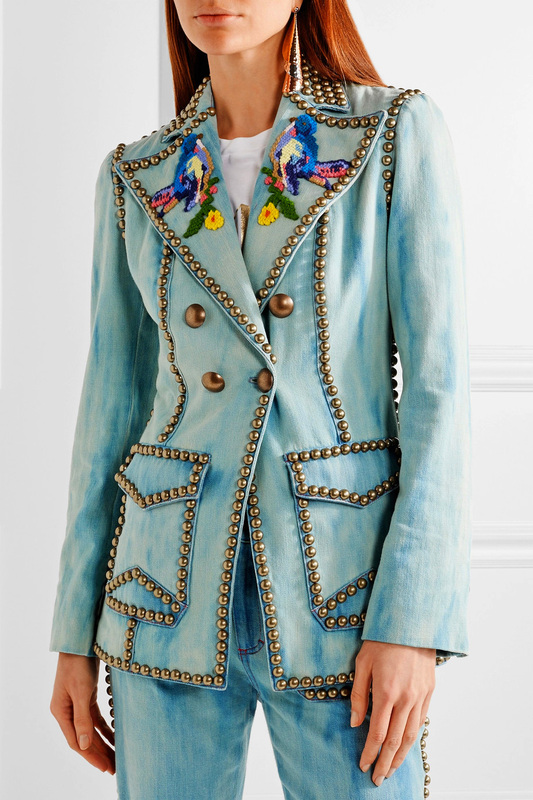 Made from stonewashed denim that's faded for a retro feel, this jacket is embellished with gold studs and two embroidered birds at the lapels. 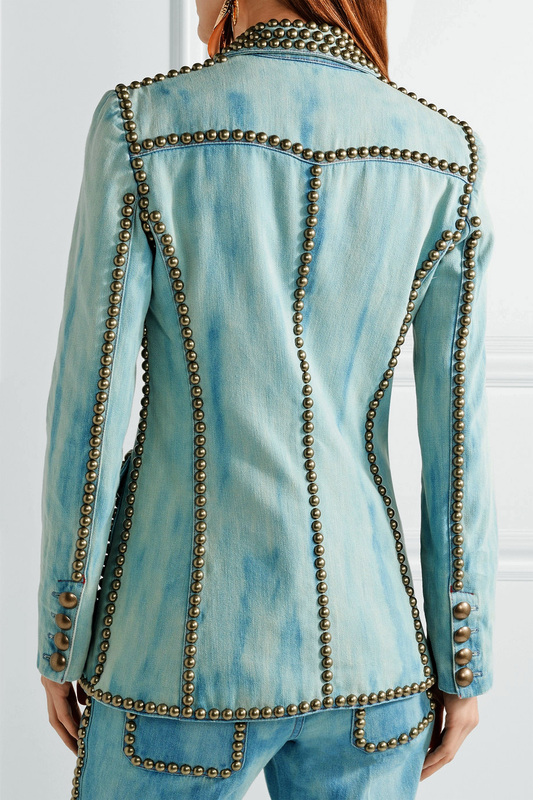 Echo the exact runway look with the coordinating jeans. 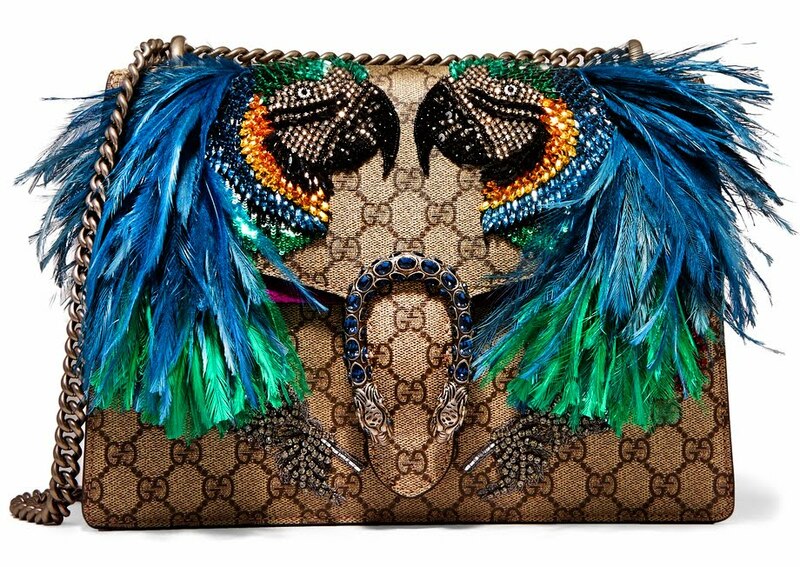 Gucci's menagerie of animal motifs grows each season - for Pre-Fall '17, its iconic 'Dionysus' bag is decorated with feathers, crystals, sequins and beads in kaleidoscopic parrot and floral artwork. Crafted from coated-canvas and violet suede, it has an accordion-like structure and trio of spacious internal compartments. Featuring the label's tiger-head clasp, this Italian-made design is meticulously hand-stitched and has neat hand-painted edges. Double the chain strap for a shorter drop.